Editor’s note: See HIGH SCHOOL SPRING SPORTS: Tuesday’s results… for postponements and other schedule changes. Bandys High closed within a half-game of league-leading Maiden in South Fork 2A baseball on Tuesday night with a 4-2 home victory over Newton-Conover. The Trojans (10-4, 8-3) are on the heels of the Blue Devils (8-4, 8-2), and the win pushed Bandys a half-game in front of North Lincoln and West Lincoln in the chase for a conference title. The South Fork 2A plays a 14-game conference schedule. Bandys scored twice in the first inning and two more runs in the third inning while the Red Devils (2-14, 2-9) scored both of their runs in the fourth inning. The Trojans got four of their six hits in the fourth inning – by Cy Spencer, Ivan Huffman, Hunter Jones and Noah Caldwell – and limited Newton-Conover to three hits. Bandys starter Alex Reavis earned a win, going 4 1/3 innings and giving up three hits. He walked two and struck out two. Reliever Spencer Ledford earned a save for the Trojans — striking out seven over 2 2/3 innings — and Bailey Sims (two walks, six strikeouts) took the loss for Newton-Conover. Huffman had two hits for Bandys, which has a non-league game at home Thursday at 7 p.m. against West Caldwell. The Trojans’ next league game is Friday at 7 p.m. at Lincolnton. Bandys is 30-9 in its last 39 games. Where the Trojans are in the standings will depend on outcomes of South Fork 2A games postponed from Tuesday and reset for Wednesday – West Lincoln at Maiden (5 p.m.) and North Lincoln at Lake Norman Charter (4 p.m.). Brandon Lail had two hits and an RBI and Nathan Beam added two as West Lincoln collected eight hits. 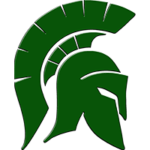 West Lincoln has a conference game at home on Friday at 7 p.m. against Newton-Conover. Maiden plays Lake Norman Charter at Maiden at 7 p.m. on Thursday. East Lincoln 11, Lincolnton 1, 5 inn. The Mustangs won on the road in a conference game — evening their league record at 5-5 — behind a 3-for-3 game from Allden Horne, who tripled, drove in two runs and scored three. Matt McCowan added two hits, including a double, and drove in two runs for East Lincoln, 6-7 overall. Ty Cobb was the winning pitcher, allowing two hits and one run. Zed Register and Zach Reep had hits for the Wolves (1-12, 1-10), who have lost nine games in a row. Lincolnton faces Bandys on Friday at 7 p.m. at Lincolnton. East Lincoln, in fifth place, will complete a home suspended game against Lake Norman Charter on Thursday at 4 p.m. The Mustangs trailed 8-3 in the fourth inning. The Mustangs play at North Lincoln in a conference game on Friday at 7 p.m. The Indians (5-11, 3-8), after four straight close losses, collected a Northwestern 3A-4A victory on the road. St. Stephens, in seventh place, had lost games by 11-10, 4-3, 9-8 and 5-2 in its previous four games. No game details were available on the Indians. West Caldwell (4-11, 1-10) had only four hits and got RBIs from Andrew Philyaw, Holden Triplett and Colby Turnmire. Nick Kidd took a loss for the Warriors, who have lost five straight games and are in last place in the conference. The Indians scored once in the third inning for a 1-all tie and had three runs in the fourth inning. 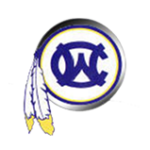 West Caldwell scored two runs in the fourth inning, pulling within 4-3, and the Indians scored two runs in the fifth inning. St. Stephens next plays on Thursday at 6 p.m. at league-leading South Caldwell, a game moved up from Friday. West Caldwell has a non-league game on Thursday at 7 p.m. at Bandys before playing at McDowell on Friday in a conference game at 6:30 p.m. The Red Tornadoes (9-6, 5-6) won a league game in Boone, holding onto fifth place in the Northwestern 3A-4A standings. Hickory is 1 ½ games behind fourth-place Freedom and next plays at home on Thursday at 6:30 p.m. against Alexander Central, a league game moved up from Friday. Watauga (8-8, 7-4) is in third place, 1 ½ games back of second-place Alexander Central, and has lost four in a row. The Pioneers face Hibriten in Boone in a non-league game on Wednesday at 6:30 p.m. and are at home on Thursday (6:30 p.m.) for a conference game against Freedom (moved up from Friday). Maiden 12, West Lincoln 0, 5 inn. 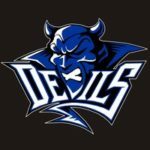 The Blue Devils (10-3, 8-3) had 16 hits, rolling to a South Fork 2A victory on the road. Morgan Boheimer gave up two hits and struck out nine as the winning pitcher for Maiden. Addyson Ikard had three hits and Abby West and Aubree Ikard added two each for the Blue Devils. Rachel Cooke homered and drove in three runs and Jaiden Kiser and Gracie Lingerfelt provided two RBIs each for Maiden. The Blue Devils are a half-game behind second-place East Lincoln heading into a league game on Friday at home (6 p.m.) against Lake Norman Charter. West Lincoln (6-7, 5-6) is in fifth place and meets Newton-Conover on Friday at 6 p.m. in a conference game at West Lincoln. Jada Spake, Ashytn Hopson and Kaitlyn Britton each drove in two runs, leading the Trojans (7-9, 4-7) to a home South Fork 2A victory. Britton had three hits, Hopson hit a home run and Spake and Samantha Browing each had two hits for Bandys, now in sixth place. Lydia Poovey pitched four innings, giving up six hits, one run (earned) and struck out three to pick up a win for the Trojans. Emilie Murphy and Grace Loftin each had two hits – Lofton hit a home run – for the Red Devils (8-4, 7-4, fourth place). Loftin worked 3 1/3 innings, giving up five hits, three runs (two earned), walking four and striking out four for Newton-Conover. Destini Vines, pitching in relief of Loftin, was touched for six hits, six runs (all earned) with one walk in 2 2/3 innings. Bandys broke a 1-all tie with six runs in the bottom of the third inning and added two more in the next inning for a 9-1 lead. 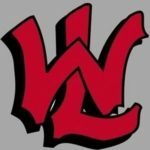 Newton-Conover has a non-league game Thursday at 5 p.m. at West Iredell and goes to West Lincoln for a league game on Friday at 6 p.m.
Bandys plays a non-conference game Thursday at 5:30 p.m. at Lincoln Charter and goes to Lincolnton on Friday (5 p.m.) for a league game. Kassi Kiziah had three goals and an assist, leading the Blue Devils (7-4-1, 6-3) to a conference win on the road. Brittny Cabalceta added two goals and an assist, as did Rachel Morris, and Shelby Pettit had a goal and two assists. Gracie Arrowood added two assists for Maiden, tied for third place with Newton-Conover and a half-match behind East Lincoln. Marley Mingus was in goal for a shutout for the Blue Devils. Maiden meets league-leading Lake Norman Charter at Maiden on Thursday at 6 p.m. while West Lincoln (1-12-0, 0-9-0) is at home Thursday at 6 p.m. against Newton-Conover. Izzi Wood scored twice as the Red Tornadoes (12-2-1, 8-1-0) won a Northwestern 3A-4A match in Boone and pulled into a tie for first place with the Pioneers (10-4-0, 8-1-0). Madeline Pitts, Ayden Vaughan and Madeline Mosteller each added a goal for Hickory, which has won four straight, and Jess LaFrancis had three assists. Nia Linebarger, Lauren Hayes and Wood each added an assist for Hickory, and Sarah Harding was in goal for a shutout. West Caldwell shot a 306 at the Marion Lake Club in Nebo to win a Northwestern 3A-4A match by 24 strokes over Hickory. Jared Clontz of Freedom shot a 71 to win medalist as the Patriots shot 344 and finished fourth. Noah Bumgarner’s 73 led West Caldwell and he’s third for third in the season individual standings. West Caldwell’s Matt Gurnsey, after a round of 75 on Tuesday, has a two-stroke lead over Clontz in the individual standings. The next league match is Monday at Silver Creek. Team scores: 1. W. Caldwell 306; 2. Hickory 330; 3. Alexander Central 342; 4. Freedom 344; 5. St. Stephens 356; 6. Watauga 376; 7. S. Caldwell 385; 8. McDowell 397. Scores, winning team: W. Caldwell 306 (Noah Bumgarner 73, Matthew Gurnsey 75, Lexton Ford 75, Jordan Bumgarner 83, Hunter Baker 86). Medalist: Jared Clontz (F) 71. Top 10 individuals: 1. Clontz (F) 71; 2. N. Bumgarner (WC) 73; 3. Gurnsey (WC), Ford (WC), Eli Wyatt (H) 75; 6. Caden Powell (SS) 78; 7. Jackson Graham (H) 81; 8. Cole Carrigan (AC) 83; 9. Brent Perkins (F), Landon Dula (AC), 84. Current individual standings: 1. Gurnsey (WC) 297; 2. Clontz (F) 299; 3. Wyatt (H), N. Bumgarner (WC) 304; 5. Carrigan (AC) 311; 6. Ford (WC) 312; 7. Powell (SS) 316; 8. Graham (H) 326; 9. Dula (AC) 331; 10. George (AC) 334. 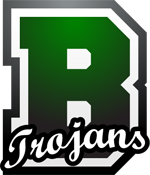 Information for the roundup includes reports by: Benny Lytton, Bandys SID; Rob Scott, Freedom head golf coach; Brian Jillings, Hickory girls’ soccer head coach; Hugh McCall, Maiden softball head coach; John Markley, West Lincoln head baseball coach; Robbie Abernethy, Maiden baseball coaching staff; Lindsay Presnell, Maiden girls’ soccer.